Blade Runner, The Running Man and Akira are all set in 2019 and although we haven't seen replicants or flying cars we do seem to be drifting towards the world of the Running Man - if it continues we will have to rename our "dystopian" sub-genre area as non-fiction. After 24 years at Flame Tree Publishing, this imprint’s story really started three years ago, when we began our short story submissions in the US. Since then we’ve built significant communities of readers and writers of genre fiction: SF, Horror, Crime and Fantasy. 2016 looks set to be a big year for science fiction and fantasy, with some highly promising TV series - from Man in the High Castle to new episodes of Black Mirror, films from another Star Wars to JG Ballard's High Rise (with many in between) and of course lots of lovely books. 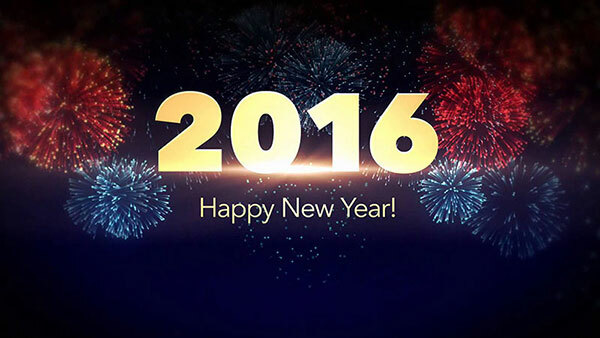 SFBook would like to wish everyone a Happy New Year for 2016. The last 12 months have been a rewarding one for book readers with a number of stand-out novels from some massively talented and diverse authors, despite attempts by small but vocal groups to bash the genre back into the stone age. It's a genre that is becoming increasingly diverse and accepted to a wider audience — 2016 is set to be a big one for genre books with some publishers such as Orbit doubling their intended SF/F output. 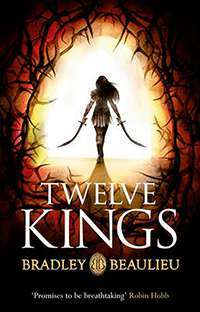 To celebrate the release of the quite excellent Twelve Kings, (click the link to see our review) we've been lucky enough to be provided with an extract of the novel and an introduction by the author. Gollancz paperback of the Month for September is Richard Morgan's The Dark Defiles, conclusion to the incredible series A land fit for Heroes. Following on from The Steel Remains and The Cold Commands, The Dark Defiles is epic fantasy in every sense of the word. A fitting conclusion to one of the great "dark" fantasy series of the 21st Century, absolutely not to be missed. 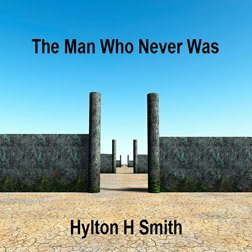 Perfect for anyone looking for fantasy with a hard-edge. Bold, brutal and making no compromises — Morgan doesn't so much twist the clichés of fantasy as take an axe to them. As many readers will know, this year there has been a concerted effort by a small but vocal minority to "game" the Hugo awards and try and put science fiction back by a few decades. They don't want to see ethnic and gender diversity in "their" science fiction and many of the Hugo award shortlists for this year were full of this small groups short-sighted, predominantly white male fiction. Thankfully the larger science fiction community has made their voices heard and have chosen "No Award" for five of the Hugo categories including Best Novella, Best Short Story, Best Related Work, Best Editor Short Form and Best Editor Long Form. Gollancz Paperback of the Month August 2015 is John Scalzi's novel Lock In which we reviewed back in January. It's not, as you might expect a novel about late night pub drinking, instead it's a science fiction police procedural which describes a pandemic virus which causes 99% of the population to suffer "flu like" symptoms. The other 1% become "locked in" to their own bodies, fully awake, but unable to move or respond to stimulus (a real condition known as "locked-in syndrome"). Those locked in become known as "Haden", named after the most famous locked-in survivor, America's first lady. The Relic Guild is a blend of Steampunk, horror and adventure, a tale ten years in the making and one that shouldn't be missed. 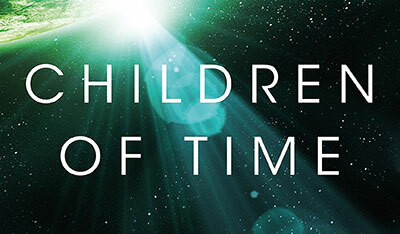 To celebrate the release of Adrian Tchaikovsky’s SF epic Children of Time, the author has kindly agreed to put some words together in an altogether pleasing arrangement. It began with a man named Dougal Dixon. Probably it began before then, but Dixon was my first introduction to the games you can play with evolution, which led eventually, through twists and turns, to Children of Time. Gollancz Paperback of the month for May 2015 is Adam Roberts exceptional story of artificial Intelligence, Bête — which we reviewed last October. 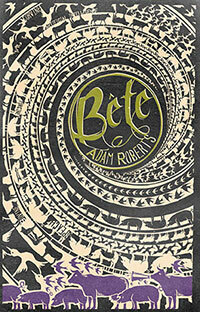 Roberts is a writer who seems to improve with each book he writes and Bête is quite simply stunning. It's set sometime in the near future and explores our relationship with the natural world and how that is changing with the steady march of technological progress. Witty and clever, it was one of my favourite books of 2014.